The scientists from UCI's Henry Samueli School of Engineering said that historically, 2.0 degrees of average winter warming can cause the probability of below-average snow water equivalent to climb to 40 percent. "Changes in average temperature around the world will have an impact on how widespread and long lasting the seasonal mountain snowpack will be," said lead author Laurie Huning, UCI postdoctoral scholar in civil & environmental engineering. 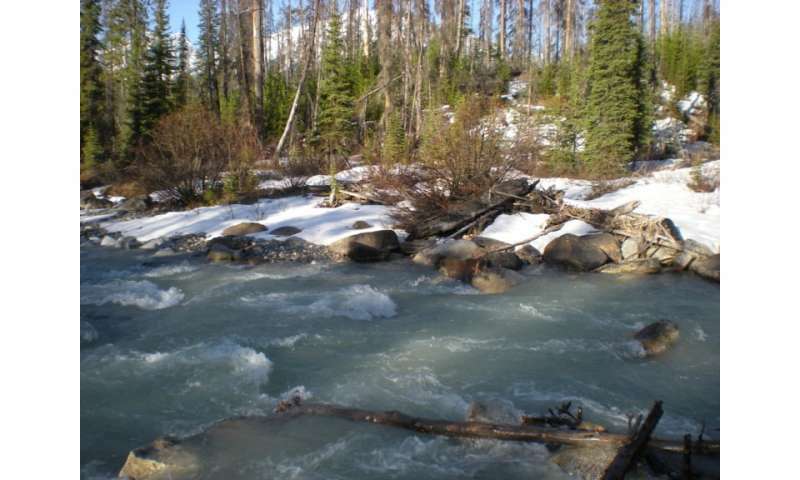 "In general, we have found that warmer conditions will decrease the amount of water stored in the mountain snowpack, forcing its center of mass to higher elevations." "The Paris Agreement calls for nations to band together to keep this century's temperature increases within a global 2 degree Celsius threshold above pre-industrial levels," said Huning. "Our results show that even a change in the Sierra Nevada's winter temperature from 1.0 to 1.5 degrees Celsius can threaten the natural water storage capability of the range. Similar responses may also been seen in other mountain ranges that provide melt runoff to much of the western United States." "In addition to the resources used in the state's agricultural sector, the Sierra Nevada snowpack also provides about 60 percent of the water supply for the people of Southern California," said co-author Amir AghaKouchak, associate professor of civil & environmental engineering, and Earth system science. "Our study has shown that this important natural water storage mechanism that supports our economy and the lives of millions is highly sensitive to change from global warming." Or manage your water resources better, which is practical and achievable. Arbitrarily taxing and limiting "carbon emissions" in your state and hoping that China and India and a couple hundred other countries will also do the same and actually meet their targets, costing trillions and trillions of dollars in slowed economic growth, making it more difficult for countries and their citizens to rise out of poverty, in order to reduce global temperatures by a fraction of a degree in coming decades is the opposite of practical. It's impractical. And anyway, those climate models are famously unreliable for predicting anything, let alone global temperatures. Or move to Minnesota, the Land of 10,000 Lakes. "practical and feasible"? Not in any community or region dominated by corrupt Republican criminal organizations. They need to induce scarcity and privation to pump up their powerbase of venality and fatten their wallets. And akward, as you are incompetent to understand the methodology of computer modeling, so are you incompetent to critique the results. Here in the Golden State of California, we have the wi-i-i-d-e Pacific Ocean as a limitless (to us) source of feedwater for desalinizatioin projects. We also have thousands of square MILES of flat desert for use as vast photovoltaic solar farms to power the desalinization projects. There are obstructionists, modern Luddites who would use small, unique to an area lifeforms and conflate them to gargantuan proportions/false importance, etc in order to delay, hamstring, and try to defeat valuable proposals. Sush folks are economic saboteurs even or evil than terrorists, assassins, and physical saboteurs. Example are the 'snail-darter' protections that ruined the ecconomy of northern California counties. Those need to be jailed or whatever necessary to stop them. With sufficient desalinization, like in Israel, we could rejuvenate all agriculture, fill up our dry lakes, raise our humidity levels and stop land subsidance. Increase water for rainfall and change our weather. NICE!! As I've mentioned before. When mama-wife Isis was reassembling Osiris. She accidentally dropped the canoptic jar containing his brains. The shattered jar shredded what little cerebral matter was there. She shrugged her shoulders and went ahead with the job. Packing oakum to fill up the empty cranium. As she knew too well that he had never had gotten much use out of thinking.